Exclusive only to the BLACKBOX, the G4410 device is able to record & store all electrical waveforms, all the time, with no gaps in the data. It calculates RMS, harmonics, & all desired values from waveforms in post-processing that includes calculations of over 10,000 parameters. Obtain a clear & comprehensive picture of conditions leading up to, during, and after an event. Elspec’s pioneering measurement method utilizes a dual-range gain of 2 x 16 Bit to yield, a superior accuracy far surpassing IEC 61000-4-30 Class A requirements, thereby capturing the finest details & deviations in PQ parameters. A unique time synchronization algorithm assures that logged data from multiple units is synchronized & displayed on the same time scale with typical 0.1 ms resolution. Every event on a grid is accurately analyzed for precise root cause analysis, behavior propagation, and traced to its source. 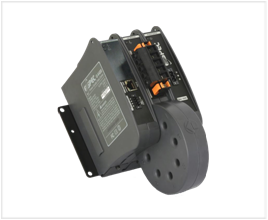 Far surpassing the highest standards set by the industry, the BLACKBOX device series complies with standards for: aggregations, time clock uncertainty, flagging, and transient influence quantities. The Elspec G4100 display unit provides full control over all the analyzers, allowing technicians & field operators to fully configure & operate every single analyzer in the network. 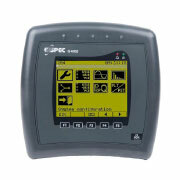 The G4100 can be used as a hand held monitoring & configuration tool, connectable via a TCP/IP connection. This optional modue expands the monitoring capabilities of the BLACKBOX with addtional digital & analog I/O ports. The I/O engine periodically checks the inputs & sets the outputs accordingly. Engergy pulses, digital inputs and analog inputs are logged continuously, from current to voltage relays & stored in the PQZIP files. The GPS provides an optimal mobile time synchronization solution for accurate time data via satellite signal. In the absence of many other technologies, it synchronizes time at any remote site location. The Wireless GPRS Modem provides fast mobile communication access & offers the perfect solution in industrial data communication. 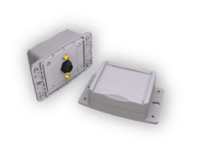 It is fitted with a SIM Card drawer structure, & it may be connected with any standard RS-422 interface. Data is transmitted at 3.5G, & the modem is fully compatible with GSM/GPRS/EDGE.